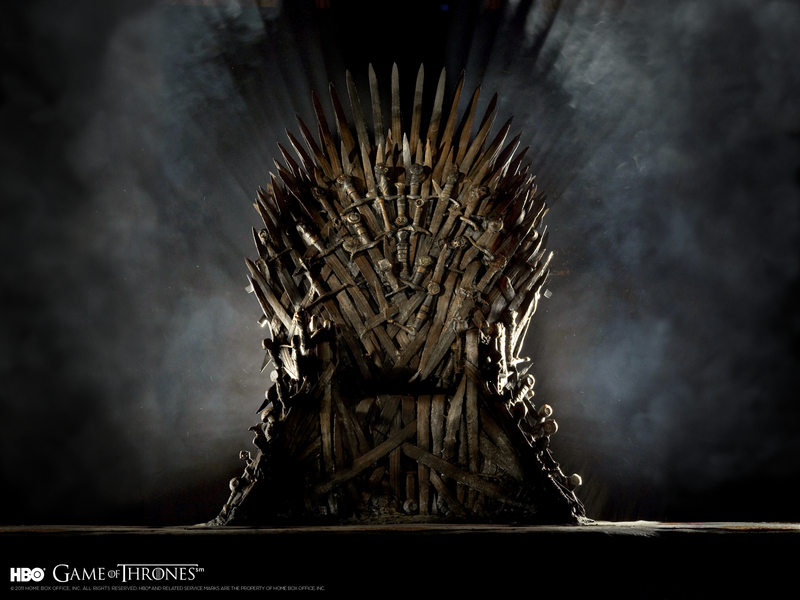 “The HBO throne has become iconic. And well it might. It’s a terrific design, and it has served the show very well. (…) And yet, and yet… it’s still not right. [My] Iron Throne is massive. Ugly. Assymetric. 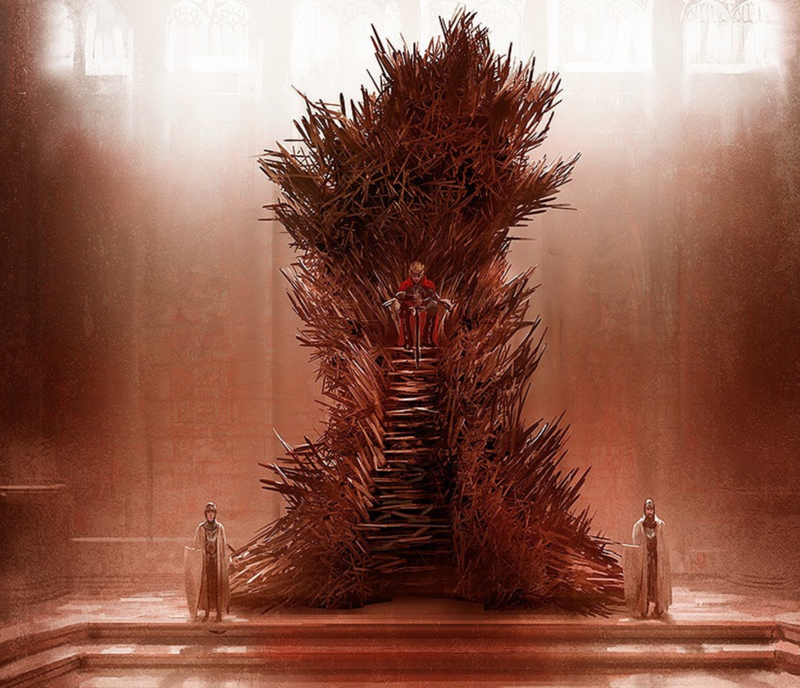 It’s a throne made by blacksmiths hammering together half-melted, broken, twisted swords, wrenched from the hands of dead men or yielded up by defeated foes… a symbol of conquest… it has the steps I describe, and the height. From on top, the king dominates the throne room. And there are thousands of swords in it, not just a few. This Iron Throne is scary. And not at all a comfortable seat, just as Aegon intended. I have to admit, I really like George’s illustration, but I can see how that probably wouldn’t work in the small screen, but something like that would definitely look pretty awesome on the big screen. But either way, I still think that throne is probably not the most comfortable seat in the world.